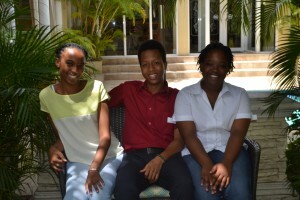 Pablo Gonzalez from the Caribbean Maritime University, Bryanna Hylton from Westwood High School and Jada Robinson from Campion College were the participants who emerged the winners for the elimination round. They will proceed to the finals on July 19th 2018 where one will be chosen as the ‘Junior Minister of Tourism’. The Jamaica Tourist Board hosted a training workshop for the finalists on July 2-5, 2018 at 10:00 a.m. in the Clive Taffe Information and Resources Centre (JTB Library) and The Corporate Service Meeting Room (JTB- 2nd Floor). This involves the mixture of in-house presentations and in the field visits, tours and immersion into the tourism product. This year’s student participants received presentations on public speaking, use of audio-visuals, grooming and etiquette among others relating to each topic. Visits/Tours involved -the Eden Gardens Resort – Virtual Reality and E-sports center as well as – a Day trip to St. Thomas which ended with an experience in the healing bath at the Bath Fountain Hotel and Spa. The Junior Minister of Tourism will represent Jamaica in The Bahamas October 3-5 at the SOTIC Conference. Annually, members of the Tourism Action Club (TAC) Jamaica, who are between the ages of 14 and 17, are invited to participate in the CTO Tourism Youth Congress. The CTO Youth Congress is a public speaking competition which sees CTO member countries each sending a ‘Junior Minister of Tourism’ to compete with students from other participating countries. Present at the Youth Congress are the actual Ministers and Directors of Tourism and other CTO member country executives. 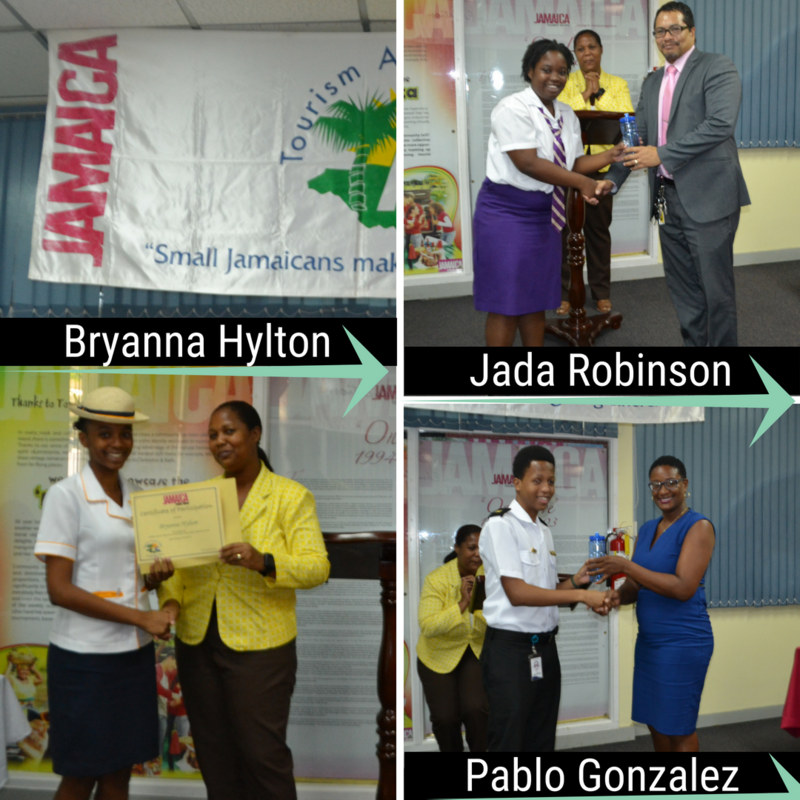 The local round of the competition is hosted and coordinated by The Tourism Awareness Unit at the Jamaica Tourist Board. The unit currently organizes activities to facilitate Jamaica’s selection of the ‘Junior Minister of Tourism’ to represent the island at the Caribbean Tourism Organization (CTO) SOTIC Conference. This competition is in the form of a discussion whereby ideas are generated from the participants which can be implemented at the national or regional level. The CTO Tourism Youth Congress had seven (7) schools competing for the title of ‘Junior Minister of Tourism’ for Jamaica in the first round. The student representatives were from Westwood High School (Bryanna Hylton), Anchovy High School (Cornell Barrett), Campion College (Jada Robinson), Caribbean Maritime University (Pablo Gonzalez), Ferncourt High School (Damario Berry, Ashley Morgan and Sashanna Douglas), Jonathan Grant High School (Abbygayle McNamee) and The Manning’s School (Natalia Peynado). Students were required to choose one topic of three provided by CTO for the competition to be researched and discussed at the first round. They were also required to come prepared to answer a mystery question and to share their knowledge and views on tourism. The first round began with registration, prayer and welcome which were followed by the introduction of the participants as well as the judges. Immediately following this was the reading of the topics which preceded a brief presentation by all the participants in which three minutes were allotted to each student. A mystery topic was also given whereby each student was allotted one minute to make notes and to prepare his/her response and then given one minute to respond after which the judges were given time to deliberate. The participants then received constructive feedback which marked the last item on the agenda.